I’m a So Cal girl all the way! I was born and raised here and absolutely love it. One thing I’ve always been spoiled by is the beautiful weather, pretty much year around. This lends to some predictability when it comes to my fashion-sense. It’s jeans and a tee in the winter and shorts and a tee in the summer, pretty straightforward for this simple girl. 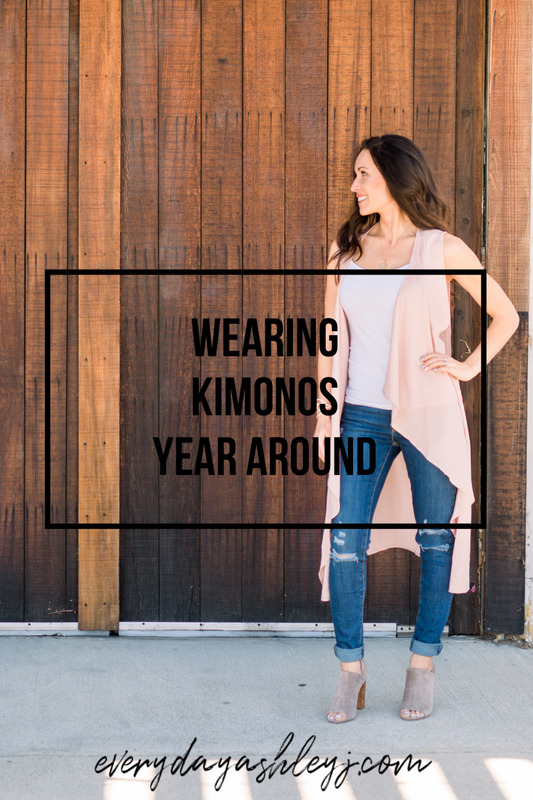 Kimonos, however, have a way of styling and dressing up any outfit for a not-so-simple jeans and a tee look. Everyone should have a few kimonos to choose from as they’re so versatile and can be interchangeable with just about any outfit.